The seal on the stop lever shaft on my OM603.960 is leaking. Not much, but it's wet with diesel fuel. No dripping. How hard is this to replace? 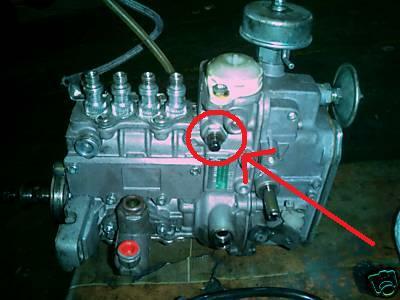 Just snooked an OM601 pump picture off Ebay to illustrate.. While these instructions refer to the 601, the process should be very similar on the 603.